Canine Friends Pet Therapy - What happens on a visit? 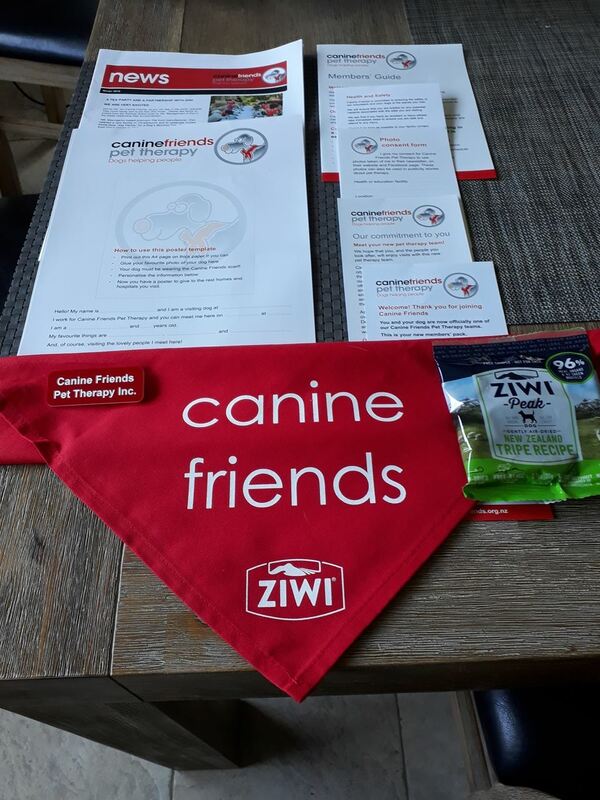 When you receive your new member’s pack you are ready to start visiting. We will work with you to identify a rest home, hospital or hospice that matches the time commitment you are able to make and is close to where you live. You will also receive the appropriate training and member support you require to ensure you and your dog are able to deliver and enjoy successful visits to residents and/or patients. 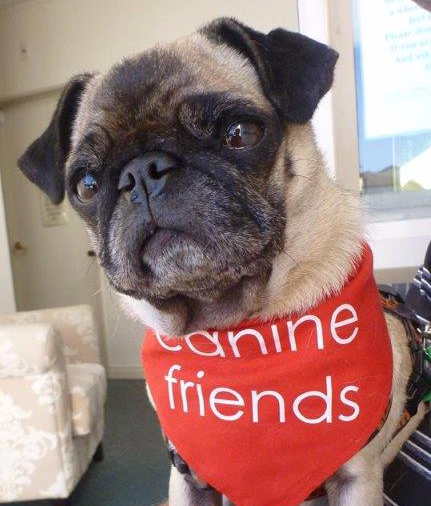 Ensure your dog is well groomed, has been toileted and is proudly wearing his/her new Canine Friends Pet Therapy scarf and you are wearing your name badge – these two must be worn at all times while visiting or representing Canine Friends Pet Therapy. Also remember your dog must be on a lead at all times. The duration of your visit will depend on the size of the facility you are visiting but typically could be one hour. Remember to monitor your dog’s well-being during this time especially during the summer months. You will find that your dog will be very tired after the visit (and will need some recovery time). The facility will have a visiting register so sign in and if required, check with the activities or volunteer coordinator for any information you may need to know. Most facilities have a day room or communal lounge so it is worthwhile to spend time there before calling on residents in their rooms. Be mindful this is their home and respect each person’s privacy – not all residents will want a visit and you will quickly learn who wants to see you and who doesn’t. On each visit it is best to check with staff if there are any new residents who would like to meet you. On leaving the facility remember to sign out and feel proud in knowing that by sharing your lovely dog you have given lots of happiness to those you have visited. 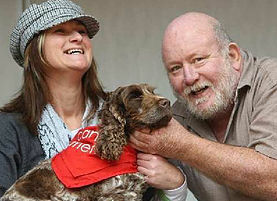 Canine Friends Pet Therapy is about dogs helping people!